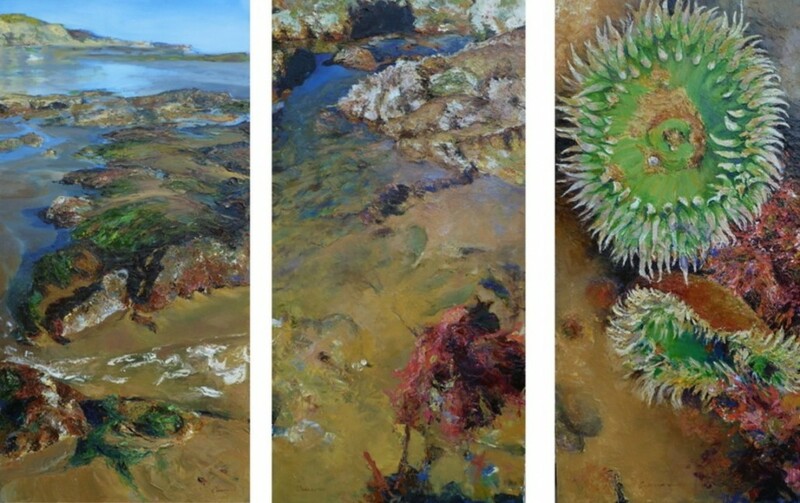 The first canvas of this triptych is an ocean shoreline as the water recedes and begins to expose tide pools. 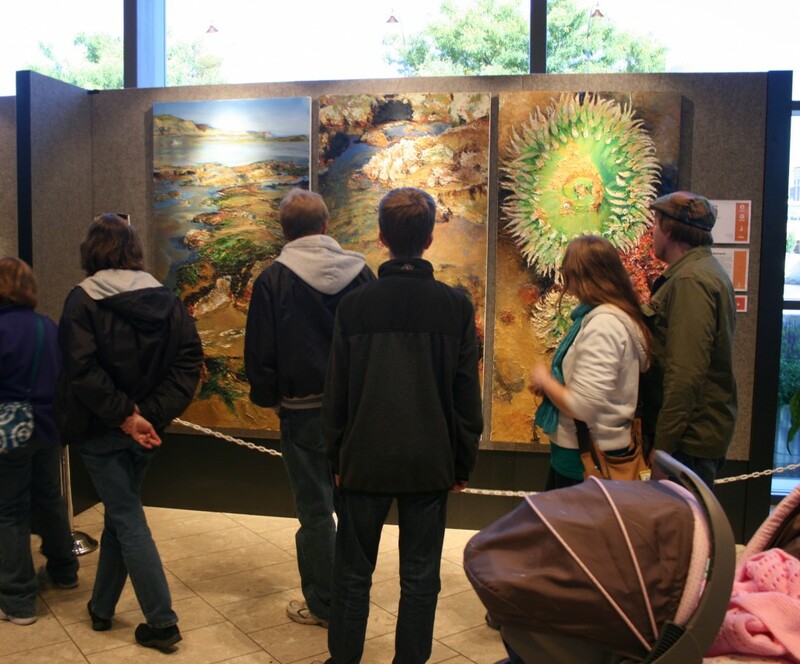 The second canvas zooms closer into the scene with an individual tide pool showcasing exposed rock, a blue chasm of water, and plant and shell material floating just below the shallow surface of the water. In the final canvas, the perspective is magnified even further surprising the viewer with unusual animal and plant life lurking in the sandy crevices of the tide pools depths. In one reality, an ocean shoreline can appear as an endless meeting of sand and water, but as I show in this piece, if we make the effort to ‘look past the surface’, we are rewarded by an expanded understanding of what is really before our eyes. I want to encourage the viewer to take this message metaphorically and look beyond our judgments made on first impressions and outward appearances’ and to seek to understand the uncovered reality that is often found just below the surface.